Some call it nesting, others call it boredom, I however use it as an excuse to get a bit messy, a bit creative and an excuse to create something unique for my little pudding on the way. In our apartment, we have two bedrooms, the master bedroom of course and the obvious makeup turned wardrobe room. No? Just me? Don't ask me how I managed to convince my other half that I could turn the spare room into a sanctuary for my cosmetic addiction but he's the best and he politely agreed. When we found out we were expecting a baby in early 2016 we were over the moon. We initially weren't going to set up a nursery room for the little tot as she will be spending the first few months in our bedroom in a co-sleeper but after countless nights flicking through Pinterest I couldn't help myself. It was time to give up my makeup room, well.....at least share? 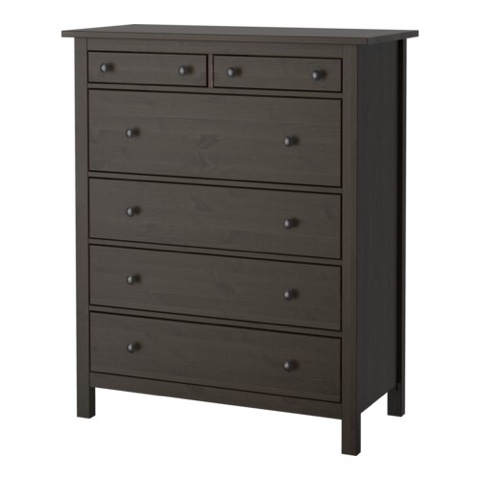 I already owned the Hemnes 6 drawer dresser from IKEA in a black/brown shade in my old room in my family home. 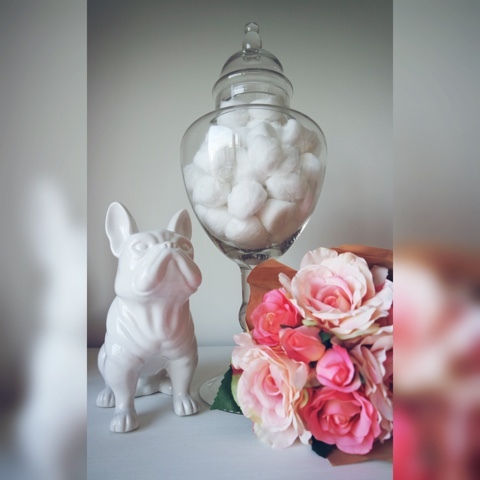 We decided it would be perfect to store all our little ones bits and bobs but I knew I wanted to do something special to make it perfect. 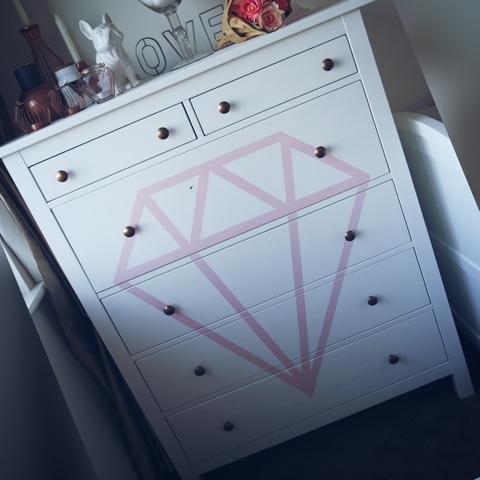 Here's how I accomplished this DIY Dresser Makeover. First of all, make sure to protect any other furnishings that are in the room. We have carpet in both of our bedrooms so I made sure to have all areas covered in case of any splash or spilled paint. 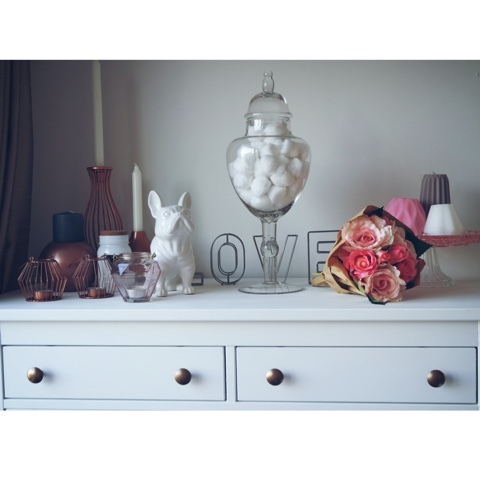 Remove the hardware from the dresser. Most doorknobs just twist out. Store these somewhere safe as we are going to get to them in a bit. 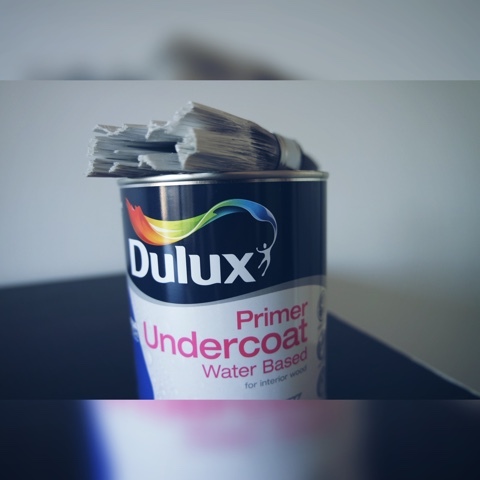 Start off with a good quality undercoat. You may need to lightly sand down your furniture before this step but I didn't feel this dresser needed it. I applied 3-4 coats of this undercoat to the dresser as the start colour was so dark. If you are using a lighter toned wood, you may not need as much. I made sure to leave each coat to dry over night as I found it would begin to lift if you went in with more product too soon. If you do experience any lifting of paint, do not worry. Allow it to dry overnight and go in with a very fine sand paper like the one in the picture above. This will smooth out the texture and allow for another coat to glide on over this layer. 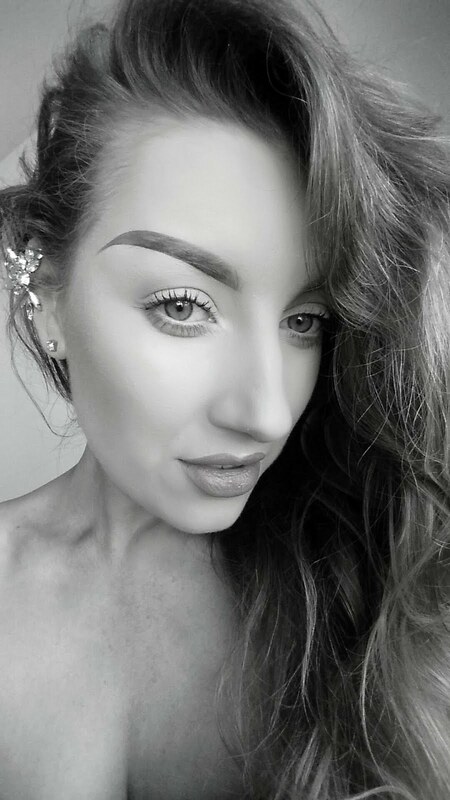 Once your happy that your primer is almost opaque, you can then go over with a layer or two of standard white paint. I used matte white, however most people will go with a gloss finish on furniture (I just had other matte items to match it to in the room). 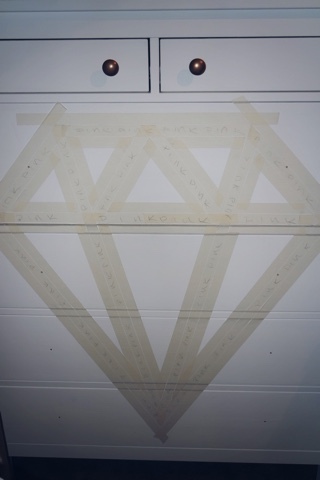 Once dry, I wanted to design the front with a geometric diamond design. I mapped out the space with a 1 inch thick roll of masking tape. I then edged this design with more masking tape so when I removed the centre strip, it would leave me with a stencil to fill in with my chosen colour. To make things even easier and to avoid making a irreversible mistake with pink paint, I marked the middle tape (where I wanted the pink to be) with a pencil saying 'pink'. 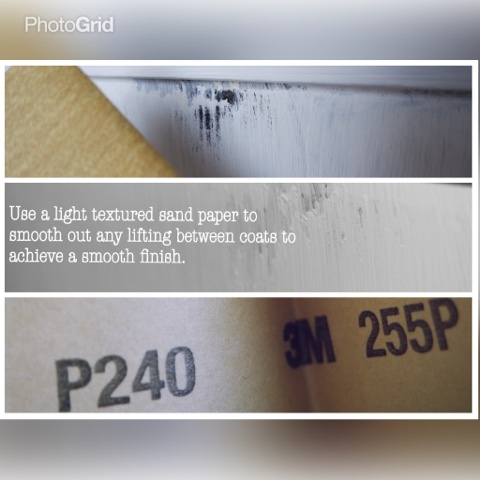 Make sure when removing the masking tape to do so slowly as you could lift the paint underneath. 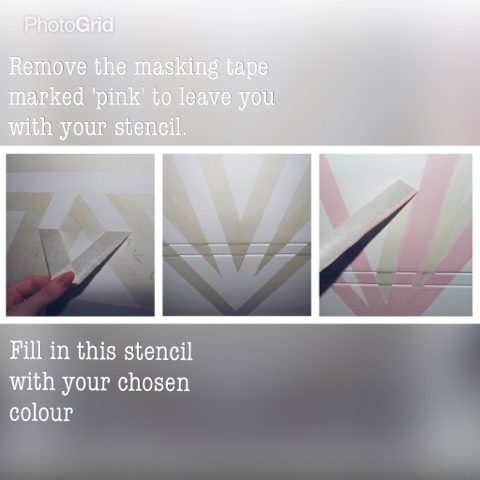 Remove the masking tape marked 'pink' and fill in this shape with whatever colour you wish. As we are expecting a little girl, I went with a pale pastel pink. 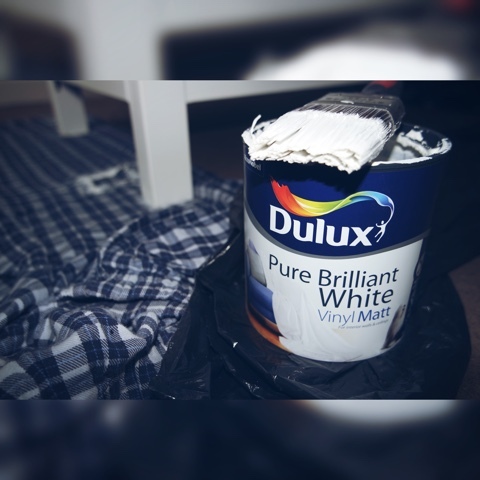 After filling in your chosen colour, make sure to remove the leftover masking tape before the paint dries as otherwise it will cause your design to chip. Now back to your hardware. Make sure to do this outdoors as most spray paints are quite messy and are much stronger in smell. 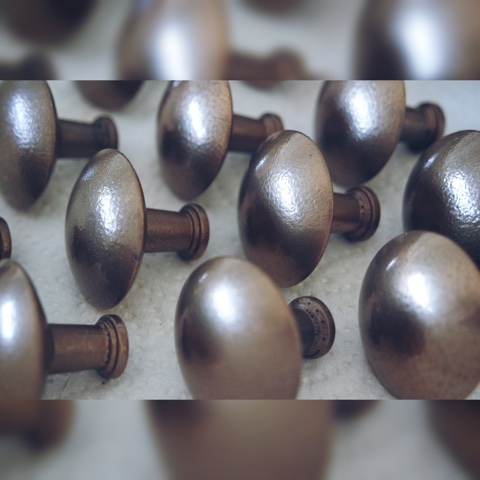 Hold your spray can around 30 cm away from the doorknobs so that they get an even coat of paint. Allow to dry outdoors for an hour or two and then turn and spray again to make sure the full part is coated. I chose to spray mine gold. Allow to dry over night. 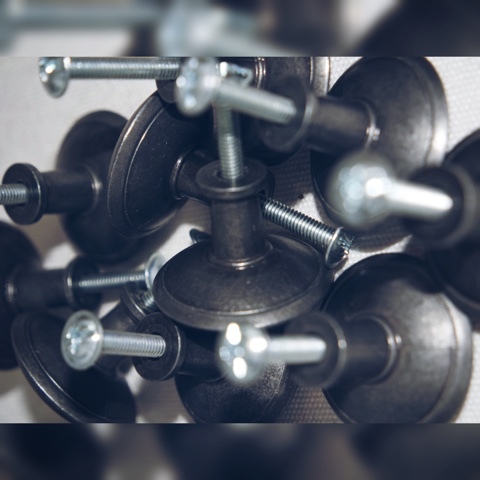 Reattach your doorknobs onto each drawer once everything is fully dried. And that's it, your done. Now time to fill those drawers with the cutest baby clothes and wait for little madams arrival.